These two just love the camera. 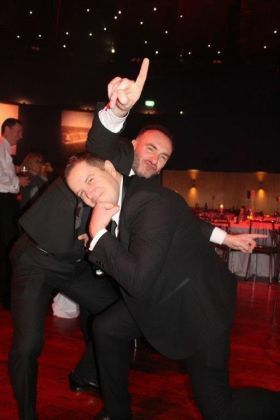 Well they both picked up awards on the night so they deserved the moment to fun pose for you all. Congratulations Dermot Merrigan (Irish Ferries) and Brian Hynes (Uniworld). They also feature on TravelbizTV! Take a look at the awards TravelbizTV In this edition.